In the early 1920s, in an effort to bring better treatment facilities to everyday workers, the former USSR began building state-run sanatoriums and spas across the region, particularly around the Crimean Peninsula. Some of the most innovative buildings of their time, the often decadent institutions were designed for mandatory vacations, and housed thermal baths and relaxation areas as well as facilities for medical treatment. Today, many of these once-bustling buildings lie forgotten, abandoned by time and politics. As an intriguing symbol of the ex-Soviet Union, one photographer decided to travel to sanatoriums along the Russian Riviera to document them in striking detail. 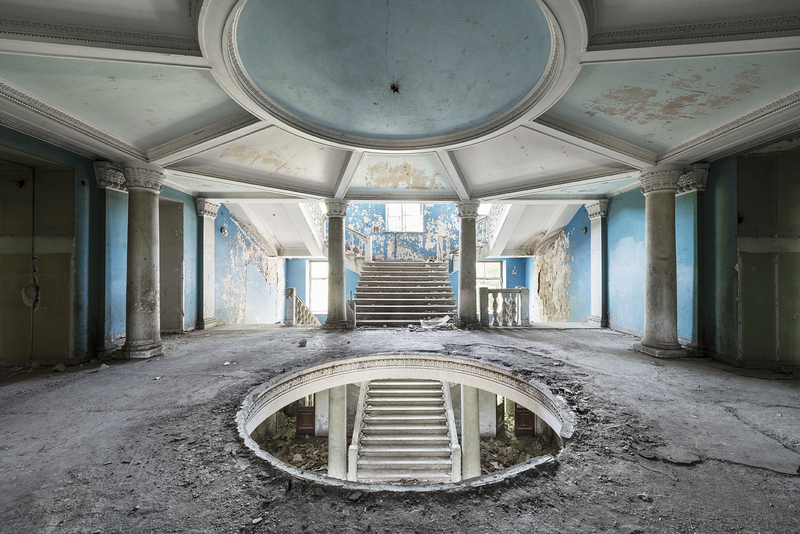 Belgian photographer Reginald Van de Velde first became interested in sanatoriums around Georgia in 2012. Having read about the history of the buildings, he decided to plan a trip there to document them, travelling to places such as the spa resort of Tskaltubo, as well as the notoriously hard to reach Abkhazia. Located along the Black Sea coast, the latter was once the jewel of the ‘Soviet Riviera’, but today the de facto independent republic is still recovering from the 1992 – 1993 war. Travelling to Abkhazia by way of Georgia, Reginald and his partner had to pass through several tense borders and checkpoints in order to gain access.